Mixed Reality master Marcel Pfister purchased a new Sim Lab GT1 Evo Sim Racing Cockpit and made a time-lapse video of the assembly… in Mixed Reality. 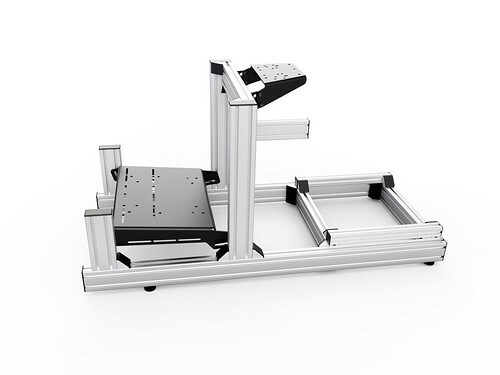 The Sim Lab GT1 Evo Sim Racing Cockpit is a 40×80 Aluminum profile based sim-racing chassis and is available in two colors. 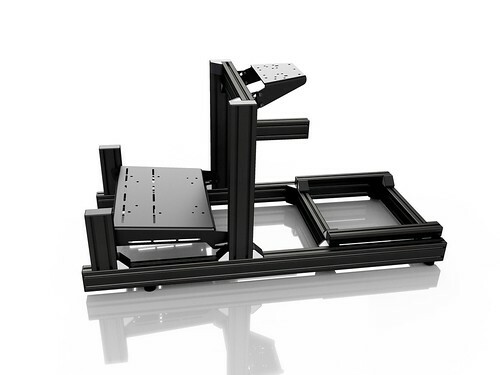 Its pedal deck is fabricated from 1 piece of aluminum and is compatible with Heusinkveld pro pedals, Fanatec Clubsport + CLS pedals, Thrustmaster and Logitec pedals. 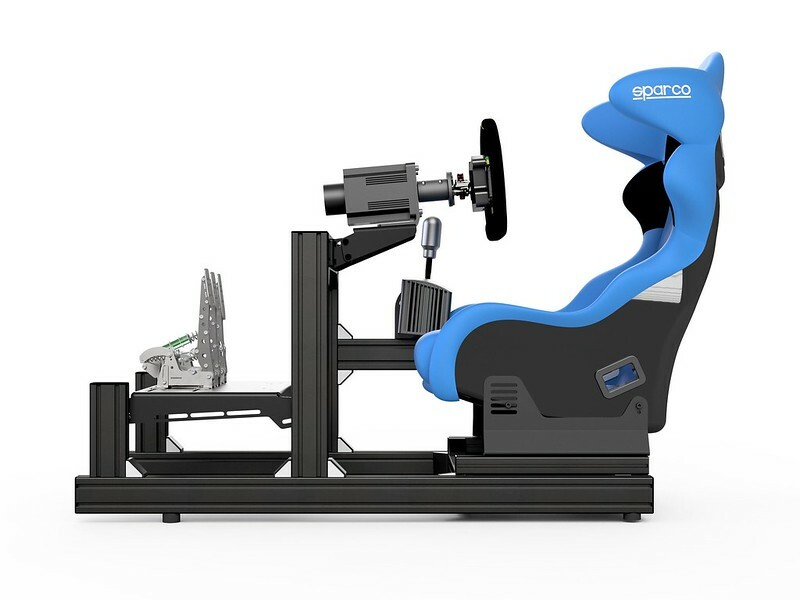 The new GT1 Evo wheel deck design is compatible with Fanatec wheels (including the new podium series DD1 and DD2), Thrustmaster and Logitech wheels. In the near future, a special add-on will be available for MiGe Servo wheels. A Grey anodized version is retailing at €399.00 (incl. VAT) + shipping, while the Black anodized version is available for €499.00 (incl. VAT)+ shipping.